I have kept my Easter prep for too late this year. I'm usually a lot more prepared than this. However, a minor accident had reduced my mobility this past week. I am on the mend but still not back to 100%. So I wanted to keep my treats quick and easy. With that in mind I whipped up some Chocolate Nests. I love this recipe. It takes 3 ingredients and half and hour to make a batch. This is a very versatile recipe so you can make as big or small a batch, as you'd like. 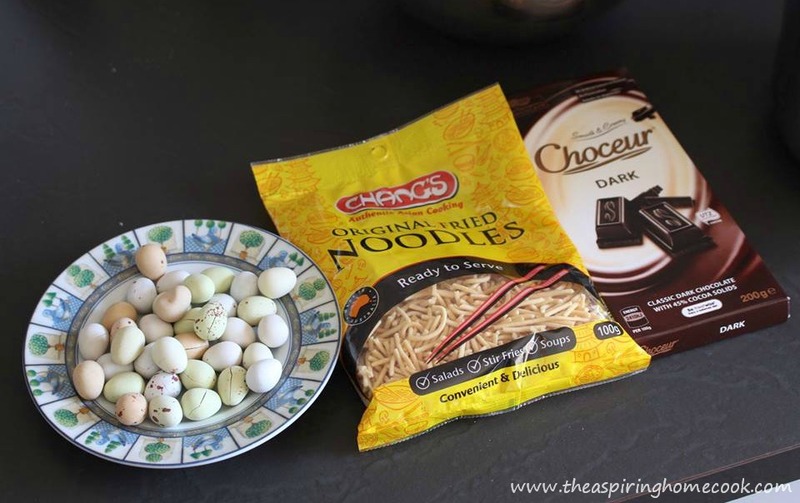 It is also a flexible recipe, so you can use the chocolate of your choice and mini eggs of your choosing too. 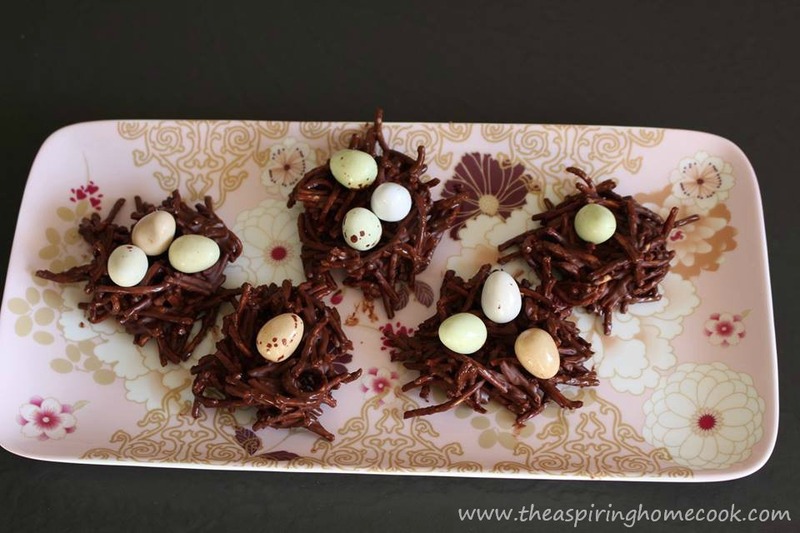 So, if like me, you've left Easter prep for the last minute, try out this recipe. It is very popular with the little kids ... and the big ones too. Wish you and your loved ones a Happy and Holy Easter! Toss the noodles into the chocolate and mix gently to coat the noodles in the chocolate completely. Using a spoon and either a spatula or a butter knife, scoop out portions of the noodles onto a tray lined with baking paper. Shape to form rough circular shapes and make a little dip in the center of each nest. 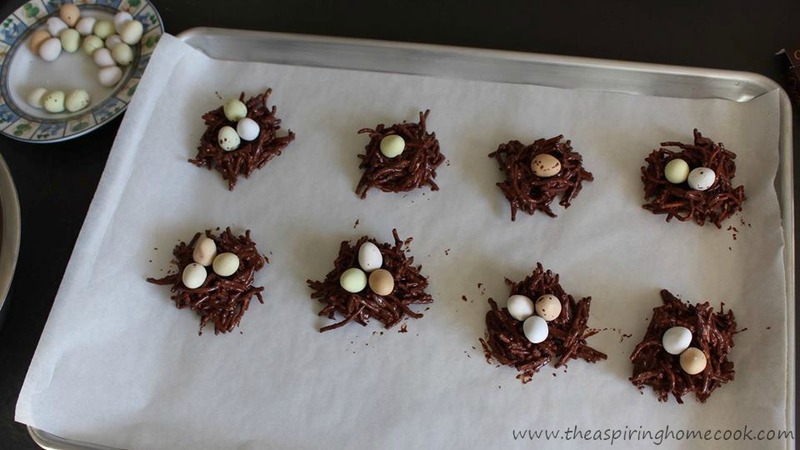 Place the mini eggs in the dents created.